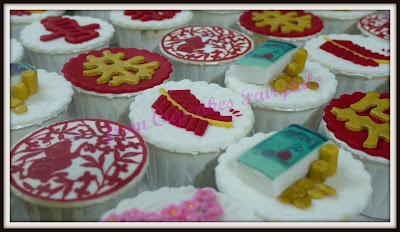 We custom-made every cakes, cupcakes and cookies here according to your request. Every piece of work are "handmade with L.O.V.E" and what's better than homemade! Juliana also specially requested for the 'FATT' character, the money and also the Year of the Rabbit sign t be the main theme. Juliana made two orders at the same time and the next one is coming up on this Sunday for her God -Child, Felicia who will be celebrating her 3rd Birthday. Stay tuned! 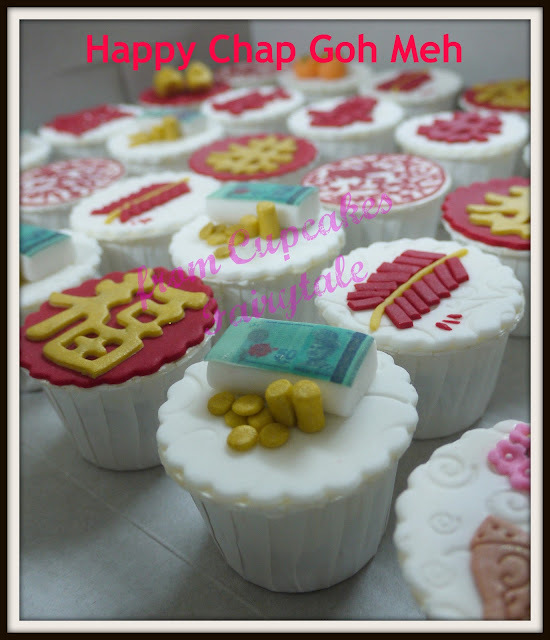 Happy Chap Goh Meh to you, Juliana and your family and friends!! We love to bake and create cakes, cupcakes and sugar cookies of all designs to cater to your special occasion. We use the best premium ingredients to make every fairytale a "Happily Ever After", as this is OUR promise to you. All copyright reserves to Cupcakes Fairytale. Watermark theme. Powered by Blogger.